I’ve noticed a few questions that fellow working moms ask me over and over again: “How are you doing it all? 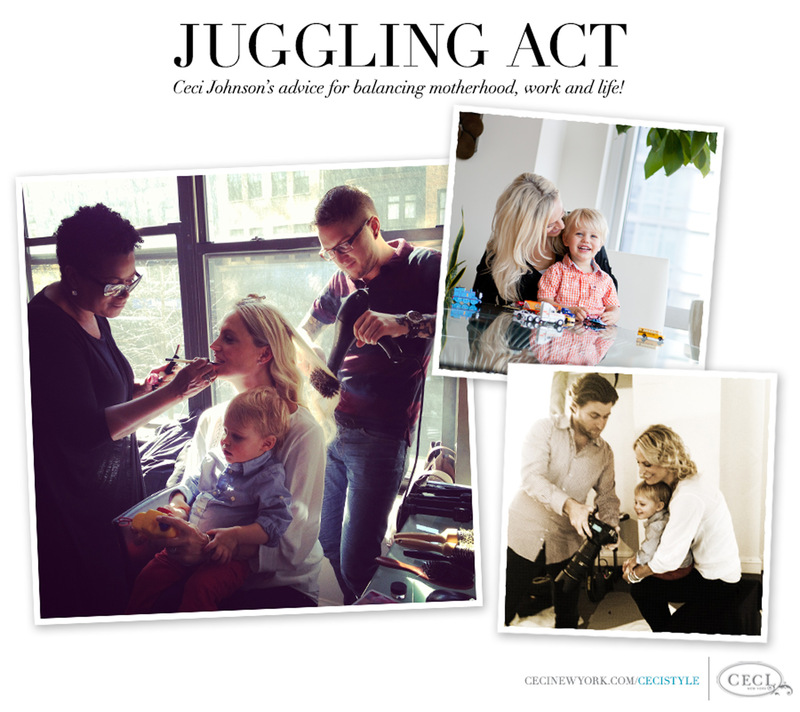 !” and “How do you find the balance between work and being a mom?" While I recognize we all handle our (many, many) responsibilities differently – and trust me, it’s not an easy thing to do – I thought I would take a moment to share what’s working for me and try to help. Now, keep in mind I am by NO means claiming to be an expert at this. I just take it day by day, stage by stage, and somehow find a way to accept the tug-of-war. Most importantly, I overcome those pesky little feelings when the mom guilt bubbles back up in my mind. Here are a few tips and philosophies that help me, and I hope will help you, too! Don’t Let Perfect be the Enemy of Good: It’s no secret that I’m a perfectionist through and through. I was raised with the mentality that you work hard for everything and, if you want it bad enough, you figure out a way to make it happen yourself. Being self-sufficient was our family’s idea of perfect. My mother was a stay-at-home mom who was always there for us three girls, cleaning, cooking and helping. Whatever we needed, she did it. Although I could fully appreciate how important these more traditional motherly tasks were, when I became a mom myself I found I was continually failing at them! Until one day I just decided that good was good enough when it came to housework. Once I accepted that I don't have to be the one cleaning my own apartment and made a conscious decision not to let the guilt get to me, I felt a sense of freedom. Fortunately I had the ability to hire a cleaning lady, which now allows me to spend my precious time on the weekends playing with my son instead of cleaning my apartment. Let Discipline Be Your Friend: My days now are extremely focused and utilized fully. There's no more room for dillydallying and thinking that I can always stay late or “do it later” because that later time is valuable. I want to spend it with my family and I don’t want anything to get in the way of that. I now spend my time at the office working on things that are important to me and driving the future of my business. I feel less guilty about the little things now (like leaving the office at 6pm) because, truthfully, guilt is a waste of time. I also try VERY hard to unplug when I get home and be fully present with my son, Mason, because trying to do work and be Mommy at the same time isn't really fair to either of us. Who’s the Boss? I must give credit to my husband for this one. From the very beginning Alan said, “You’re the boss of Mason” or “You're the boss of food” and he declared things he was the boss of, like paying bills or doing the laundry (yes, I am so grateful he chose to be the boss of laundry!). By clearly defining our responsibilities, we know what we are in charge of, and that helps take the pressure off of thinking you have to do it all. Simplify, Zip and Go: With a little one demanding all of my attention in the mornings, I found myself having no time to get ready for work like I used to. By simplifying my work wardrobe to ONLY pieces that I feel good in and are easy to throw on, zip and go, the headache of “I have nothing to wear” started to melt away! Delegate with No Guilt: I admit, at first, it was the hardest thing in the world for me to hand over my precious 4-month-old baby to a nanny I hardly knew. But I knew in my heart of hearts that no amount of changing dirty diapers or doing dishes gave me the same satisfaction as my work at Ceci New York. After all, I had to tend to my first baby: my business. Hiring great, reliable people for your children (and your business, for that matter) is critical. I make sure to compensate for the fact that I’m a full-time working mom by making extra sure Mason knows how much he means to me and is loved when I am home. I make him feel important to "fuel my days" by filling up my “hug tank” before and after I come home from work and then I shower him with a million kisses. Make "Me" Time: This is the most important. Because you don’t want to lose sight of who YOU are now that you have entered motherhood. Sit down with your significant other and have an open, honest conversation about carving out some time for yourself to just be (sans child and hubby). And it doesn’t count when the nanny comes during the week, because that’s your time to get your work done, remember? I’m talking about a couple of designated hours on the weekend that are for you and you only – because you know we need it! Time to do whatever your heart desires without anyone complaining: Get a massage or a pedicure, take a nap, shop, get your hair done, go for a walk by yourself...indulge in something that gives you your sanity back and makes you feel like you again. By outlining these times in advance, it allows you and your husband to be on the same page, and clear expectations are set. Without it, you’re just constantly scrambling and never feeling like you get a moment to breathe. P.S. : Make sure you give your husband this time, too, so he doesn’t feel like you’re the only one getting the special treatment.